In a prior post, we took a close look at Third Point Management Co LLC’s Daniel Loeb, and what the Guru’s investment style is like. We also delved at length into what the hedge fund’s Q4-2017 portfolio looked like, in order to give us an insight into what specific positions they favor, and which sectors they like. We did this using data available through the hedge fund’s 13F filings. Since then, Q1-2018 13F filings have been released into the public domain, and we thought we should do a compare/contrast between Q4-2017 and the most recent quarter. Hopefully, we’ll learn some valuable investing lessons. When looking at Third Point’s total portfolio value from Q4-2017 ($13,855,091,000), and comparing it to the latest 13F filing, for Q1-2018 ($13,318,675,000), we can see that there is an almost 4% (3.87% to be exact) decline in the portfolios’ market value. A closer look at the market value of the top-10 holdings should give us some indication of some valuation changes to the overall portfolio. Overall, Third Point’s top-10 saw a rise by 6.34% in market value. Other notable position trimmings included Alibaba Group Hldg LTD (NYSE:BABA) – 2M shares; Alphabet Inc (NASDAQ:GOOG) – 115,000 shares; Blackrock Inc (NYSE:BLK) – 465,000 shares, and Constellation Brands Inc (NYSE:STZ) – 200,000 shares. The overall portfolio change was also impacted by a new addition to the top-10 portfolio list, United Technologies (NYSE:UTX), with the purchase of 7.1M shares and market value of nearly $893M. It is worth mentioning that the overall portfolio value was also impacted by another past top-10 lister (from Q4-2017) – Intercontinental Exchange (ICE), which saw 500,000 shares sold, and a market value drop of 6.57%. ICE has lost its place as a top-10 holding in the current quarter. The overall stock market is often divided into 10 (or perhaps 11 – depending on which metric you look at) sectors. Third Point’s top-10 portfolio holdings are broadly diversified, and they represent 7 of the commonly followed sectors. So, if you were thinking of building a portfolio to mimic this Guru’s sectorial allocation, how would you go about it? Well, in terms of sector choices, the top-10 analysis reveals that Health Care (28%) and Consumer Cyclicals (22%) are the Guru’s favorite sectors, with names like BAX, and BABA, NFLX and TWX respectively. Those two sectors seem to dominate the top-10 holdings, accounting for 50% of the holdings. Technology (15%), through GOOG and FB, Basic Materials (11%), primarily represented by DWDP, and Industrials (11%) through UTX, round up the double-digit sector holdings in the Guru’s top-10 portfolio. Financial Services (7%) and Consumer Defensive (6%) are represented by BLX and STZ respectively – neither of which are top-10 double-digit holdings. 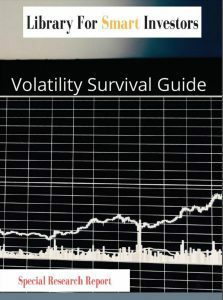 Author does not have any investments in stock discussed in this article. Sign-up for our bi-weekly newsletter so you don’t miss any hot investment opportunities. 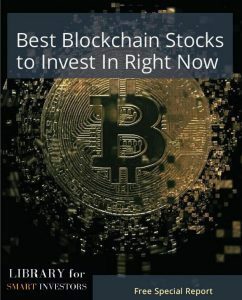 Also don’t forget to get our recently published Best Blockchain Stock To Invest In Right Now report absolutely free.